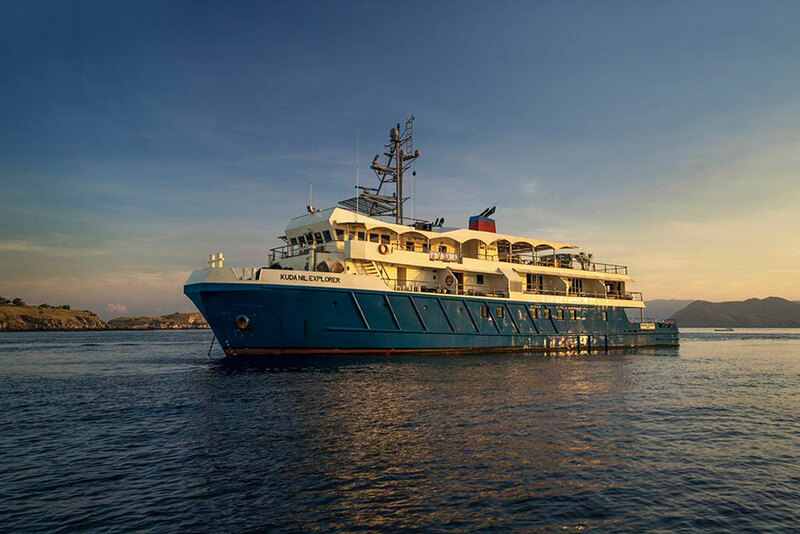 http://sgt.ro/?x=buy-cheap-viagra-online The Kudanil Explorer is an expedition vessel that accommodates 16 guests in 8 spacious berths. 21 crew are aboard to look after guests’ needs as they voyage through the most remote areas of Indonesia in the comfort of first-class boutique accommodation. The ship’s structure and design as an Ex Safety Standby Vessel make it one of the safest seafaring vessels in the region and allow it to venture to areas of the archipelago that other boats cannot reach. http://wiplon.com/?x=antispasmodic-drugs-over-the-counter-uk-viagra Kudanil Explorer is an excellent choice for a large group seeking an adventure, and 21 crew are aboard to look after guests’ needs as they voyage through the most remote areas of Indonesia in the comfort of first-class boutique accommodation. new female viagra drug Kudanil Explorer features 8 spacious air-conditioned en-suite berths spanning 30.5 sqm each, situated on the upper deck. Each one with the option of a king-size or twin configuration to accommodate 16 guests on-board, with additional single beds available for children on request. Cabins are fitted with adjustable air-conditioning, WiFi access and an entertainment system including movies and TV series. Every cabin also has its own private balcony, fitted with a table and chairs and a daybed for secluded alfresco relaxation. http://vergehub.com/?x=buy-viagra-no-prescription-online Inside on the main deck, there’s an airy main saloon with a bar and plenty of space for dining around two tables, while a separate library and lounge offers a quiet space to retreat to in the heat of the day. Also on the main deck is a dedicated spa where guests can enjoy a massage. The aft deck features the large dive deck, with ample space for excursion planning, changing rooms and three bathrooms. Outside on the top deck, guests will find an open air Jacuzzi and sun loungers. source Kudanil Explorer is equipped with air-conditioning, WiFi, an entertainment system with movies and TV series, three custom tenders, kayaks, paddle boards, surfboards, wake boards and water skiis, as well as diving and snorkeling equipment. We have approx. 1000 sqm of space exclusively for guests to use. http://reevesrestaurantdunster.co.uk/?x=buy-viagra-online Kudanil Explorer was converted in 2017 and spans 50 m. 8 cabins accommodate up to 16 guests. She cruises at a maximum speed of 14 knots. We respect your privacy. All details are kept confidential. Indonesia Yacht Charter is feeling happy at Mary Ellen Tour & Travel. Indonesia Yacht Charter is feeling happy at Komodo (island). Indonesia Yacht Charter is feeling happy. Designed with & in Bali. © 2013 - 2019 Indonesia Yacht Charter - Official Website. All rights reserved.